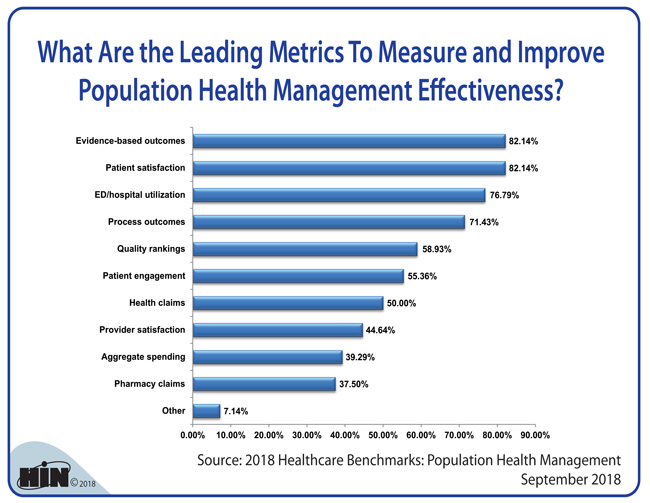 Healthcare Intelligence Network - Chart of the Week: What Are the Leading Metrics To Measure and Improve Population Health Management Effectiveness? Source: 2018 Healthcare Benchmarks: Population Health Management, September 2018. For access to dozens of metrics and benchmarks on population health management, download your copy today. 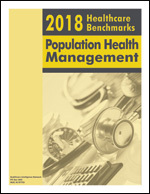 This report is the fourth comprehensive analysis of population health management by the Healthcare Intelligence Network, capturing key metrics such as populations, health conditions and health risk levels targeted by population health management programs; risk stratification criteria; prevalence of value-based payment models supporting population health management programs; population health management processes, tools, workflows and forms; and program outcomes and ROI from responding healthcare organizations. Download your copy today at Online Bookstore or by calling toll-free (888) 446-3530. 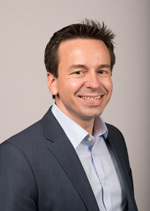 While shared savings could be several years in the future for fledgling ACOs, there are shortcuts to generate population health revenue immediately, explains Tim Gronniger, SVP, development and strategy, Caravan Health. 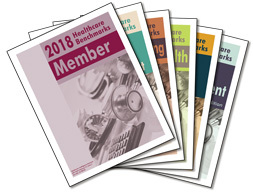 Listen to Mr. Gronniger outline the rationale for using three Medicare billing codes—the annual wellness visit, chronic care management and advanced care planning—to create revenue immediately.